Portfolio matters a lot to the designers and business owners or the clients. While portfolio is the place for a designer to showcase the talent and skill by including the best works, the clients go through the portfolios of the designers to find suitable candidate who can do justice to their graphic design projects. Keeping these concerns in mind, we have launched a new designer portfolio page that incorporates new features to accommodate what the designers and the businesses want. The new page is easy to navigate through lots of new features. At Designhill, we aim at being a highly useful meeting ground for the designers and businesses so that they both can get what they aspire for. For the designers, the profile page offers an opportunity to creating a lasting impression on the clients who look for the designers for 1-to-1 project or for the contests. Our new profile page assures of an improved experience not only for creating portfolio but also to make an effective two way communication. We take you through the profile page to introduce new features and how to navigate through them and also to ensure that you benefit from the features. Plus, read the tips to present your image in the profile page as a professional designer. Your tastes and requirements are surely different than others and hence the profile page lets you customize to create your professional image. You can start creating the page by using the features to customize your cover photo and avatar. There are social media buttons to communicate with the fellow designers and others. Your cover photo: Create a cover photo as your identity on the profile page. Make sure that you choose an appropriate background image that reflects you in good light. Your name and other information such as what you do should be legible and mentioned underneath the photo. Chose the colors of photo carefully to project your professional image. Your avatar: Use this feature to project your professional logo or your quality photo. For convenience of the designers, we have created social networking buttons right beneath the cover photo. This is because every designer today is conscious about making a meaningful communication with the people and particularly with fellow designers. So, the social media buttons allow you to navigate to your Facebook, Twitter, Pinterest and Google+ page to send the right message related to your design works. The page also has ‘Follow’ button to allow the designers to follow their favorite designers & clients in order to know more about their progress and latest offerings. You can use ‘Add to Favorite’ button to add a designer or a client to your profile page. If you face any trouble, you can report the issue to the responsible authorities with Designhill. This is an important feature that quickly addresses your problems related to this site or your design issues. By placing this button right at the top, we have made it easier for the designers to register their complaint without hassles. 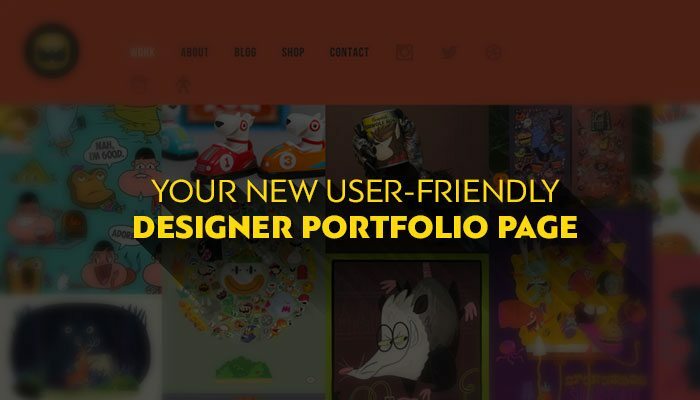 Another useful feature that we have included for the designers on portfolio page is to let them evaluate their performance from others’ point of view. As a designer, you must know how other designers, clients and general people assess your design works so that you can get an idea of your performance for further improvements. Right at the top of the portfolio page, you can see the statistics that quickly tell how many ‘Likes’ have you received so far from people. You can also know ‘Total Views that your designs got, which indicates your popularity. ‘Total Tags‘ allow you to give an identity to your design on the portfolio page for its easy searching. ‘Total Followers‘ shows the number of people following your portfolio page. The portfolio page has a Gallery section that allows the designer to showcase the designs of choice. Make use of this feature to let the world know about your design taste and the trends you are following. Your clients may also visit your Gallery to know more about design inclinations. You can use ‘Personal design’ feature to showcase your own graphic design works. These designs are your own creation and so they are important for making a lasting impression on the clients. Remember that you will get work mostly based on how impressive are the designs. So, make sure that you select on your quality design works that you think will send out a good professional image. Give some information about who you are and what you do. This button lets you fill the necessary details such as your name, speciality such as logo designer, UI designer etc, your location, skills, descriptions, member type etc. The designer can find out the contest he/she has won so far by clicking on ‘Winning Design‘ button. This feature is also useful to let the clients know about the quality of designer’s works. The portfolio page also shows your earnings quickly just as you click on a button at right side of the page on the top. Besides knowing how much you have earned, you also know about the amount of positive feedback you have received so far. The button shows the number of contest you won and what is your wins percentage. You can also find out the number of contests you have entered to the date. Your overall performance in creating quality graphic designs can be gauged by the ‘Designer Level’ that gives you marks to show your standard level on a scale of 0 to 100. Clients can also make good use of the side buttons at the top of the profile page. They can search for the designers of their choice to navigate through their profiles and other credentials. The search can also be made as per the DH Ranking, DH points and Contests Won. You can search the designers as per their skills, types and country for quick and specific navigation. We welcome your feedback and suggestion on further improvements to customise this profile page as per your new requirements. If you have any comments to make right now, please leave them here for us.